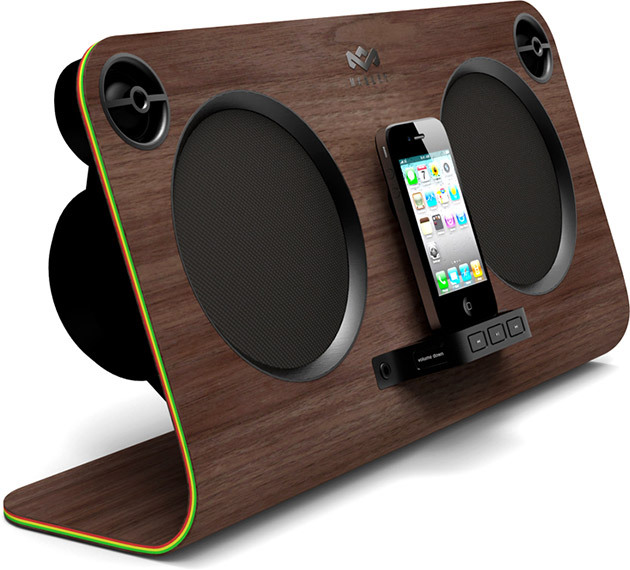 If you like jammin’ too, then the Get Up, Stand Up Speaker Dock ($300) is just the thing for you. Hook it up with your iPod, iPhone, iPad, and other music devices for superb bass and treble. Superior audio is achieved with its two 4-inch woofers, two 1–inch dome tweeters, a speaker output of 25 watts times two, and DSP sound processing. It also serves as a charger for your Apple devices and is made of Earth-friendly materials. The Get Up, Stand Up Speaker Dock should more than satisfy your soul.